1. I would give importance to the Tropical Storm "Lnfa", in the South China Sea. The pulses from this storm are likely to travel westwards, and create a low in the Bay. By estimates, and observations of previous years, a low can appear in the Bay, from a system in the South China Sea, in this case as a result of "Linfa", after 5/6 days . That is around 22/23 June. This can help the monsoon intensify in the heartland of India. 2. The off shore trough, till yesterday holding on from Karnataka to Kerala, has now intensified a bit, and extends from Konkan to Kerala. Thus, the monsoon gaining strenght along west caost in 2 days seems likely. Thick convective clouds are seen off the Karnataka coast as a result. Cyclone "LINFA" in the South china Sea was tracking mostly Westwards for lst two days. However, it has been forecast to change direction and move mostly North Eastwards. 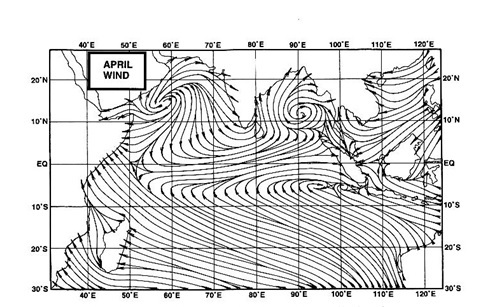 Pulse effect in the Bay of Bengal would have been felt if the Cyclone had tracked Westwards. Also one more worrying thing is that the Low in BOB 92B.INVEST should have moved in NW direction along the Axis of Monsoon, however, it tracked towards Myanmar- NE States.